If your label application requires color to brighten up your product offering and label printing, than you are at the right place. We offer a complete line of thermal color labels and we are proud to offer a variety of colors for our customers to choose from. 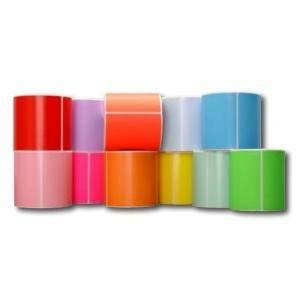 The thermal color labels provide excellent levels of smudge resistance and print quality. In addition to superb print quality, smudge resistance, and a full line of colors to choose from, the thermal color labels also maintain medium to high print speeds.